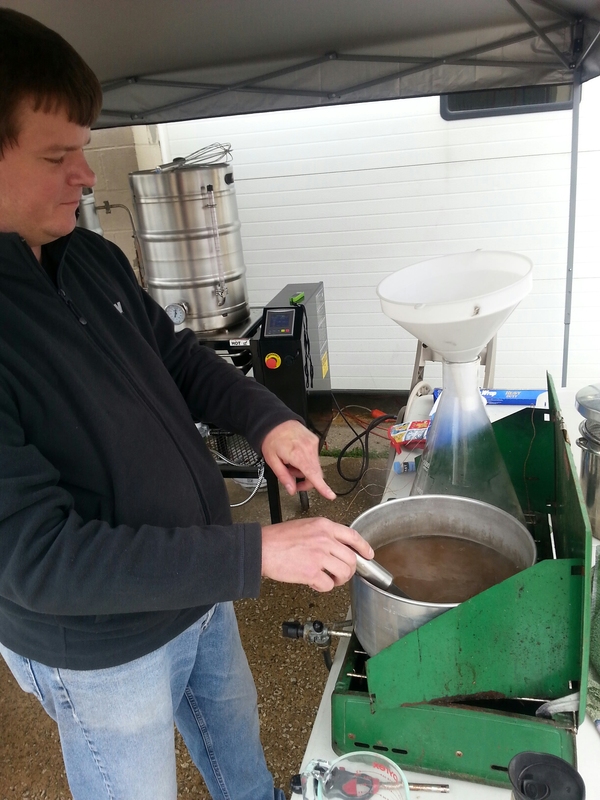 I was picking up some grains at the Grape and Granary and there was an ‘Iron Brew’ day going on (a la Iron Chef). 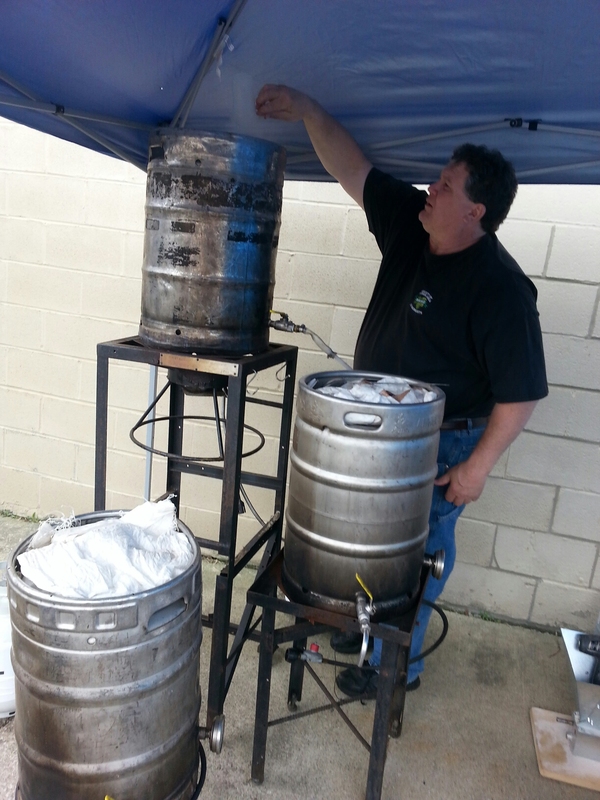 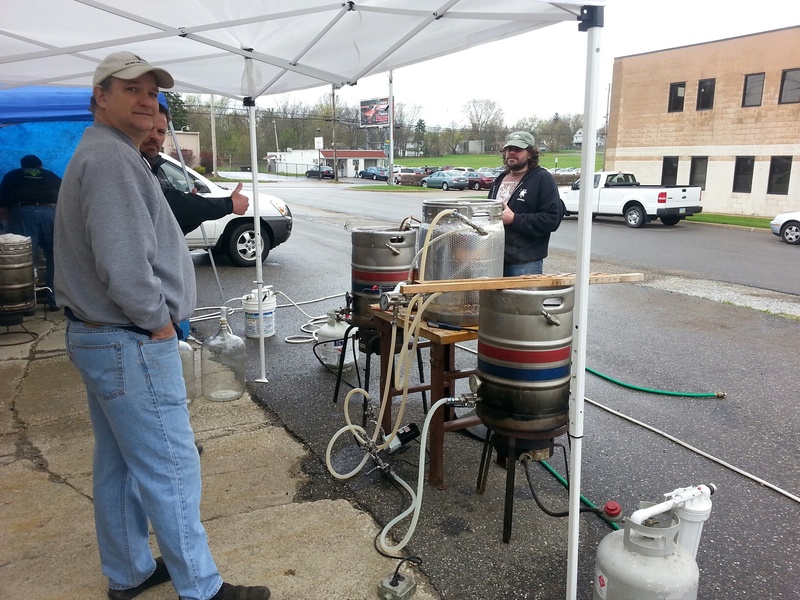 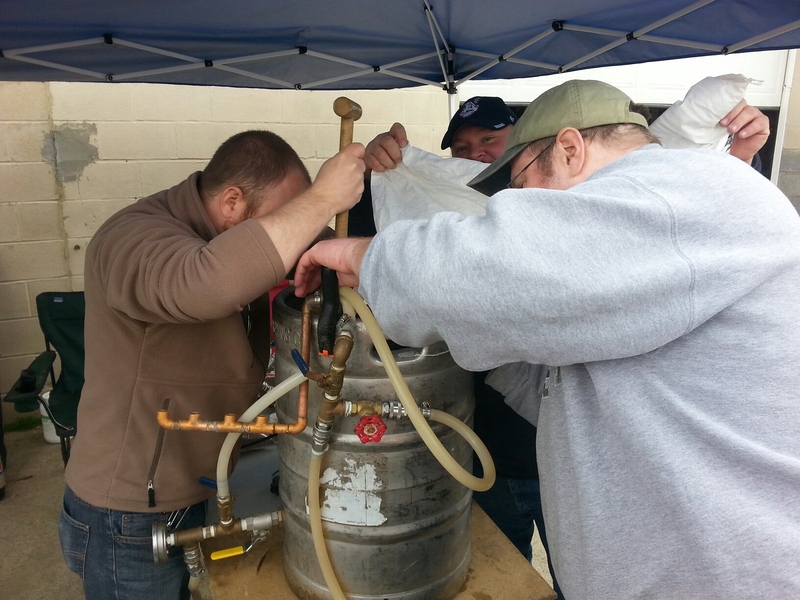 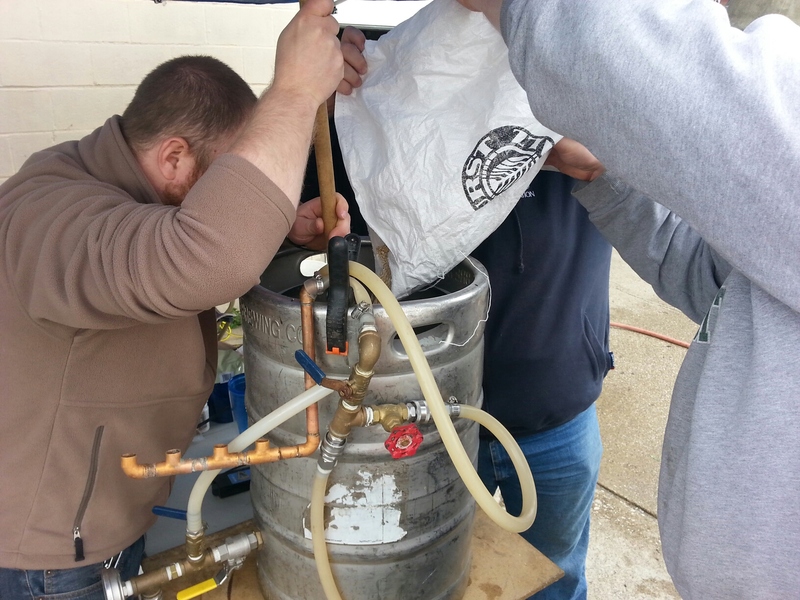 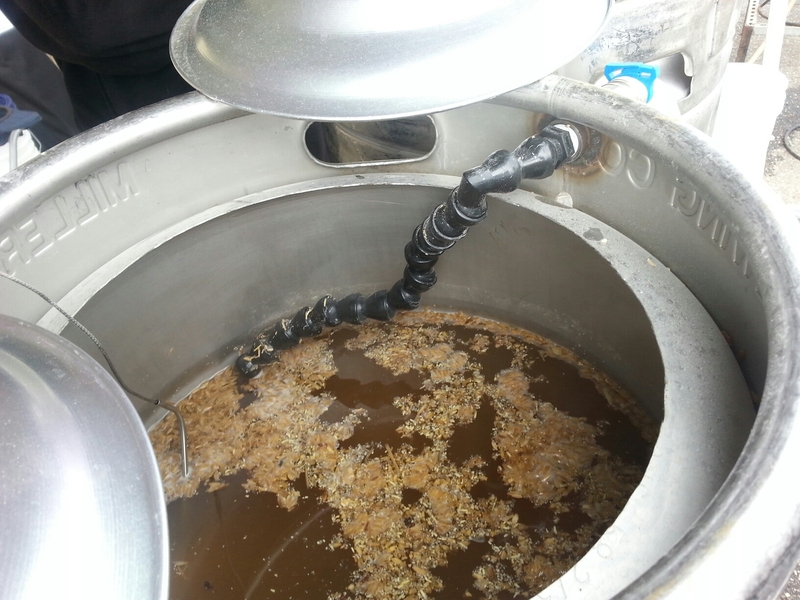 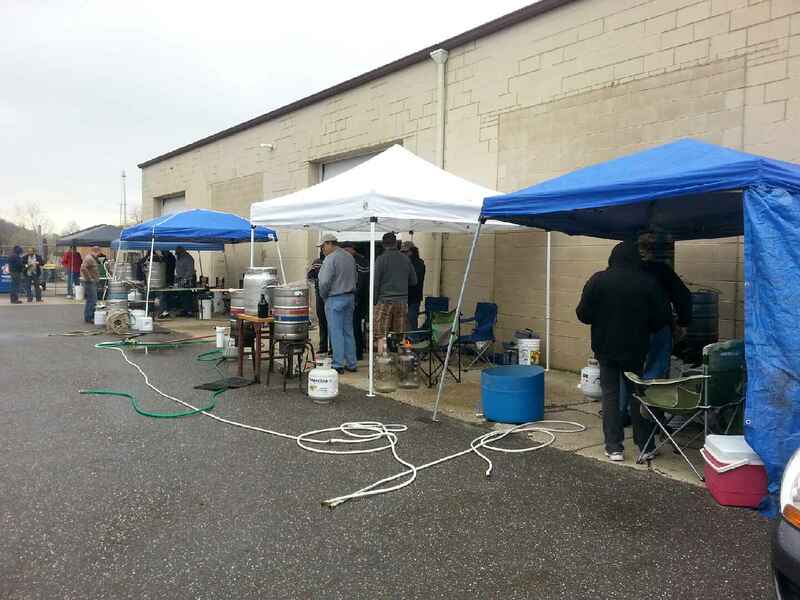 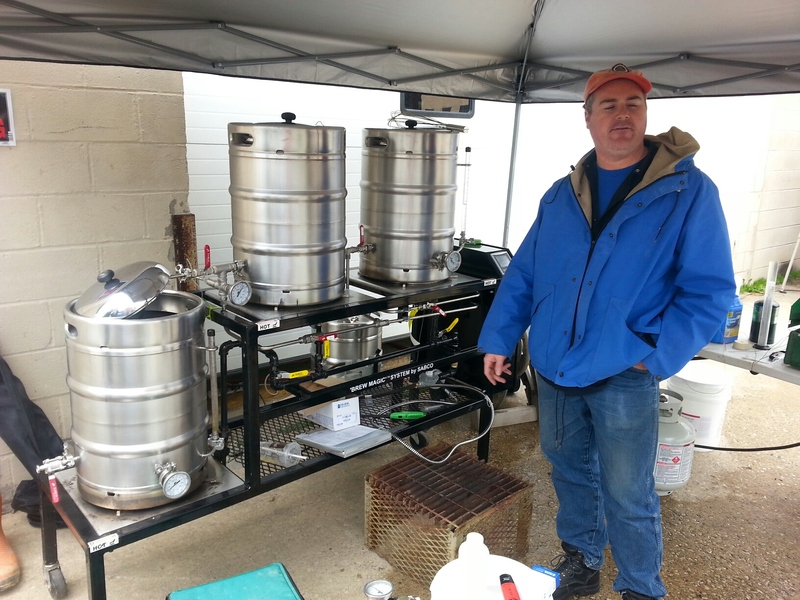 Half a dozen groups from Akron’s homebrew club, SAAZ, were there brewing. 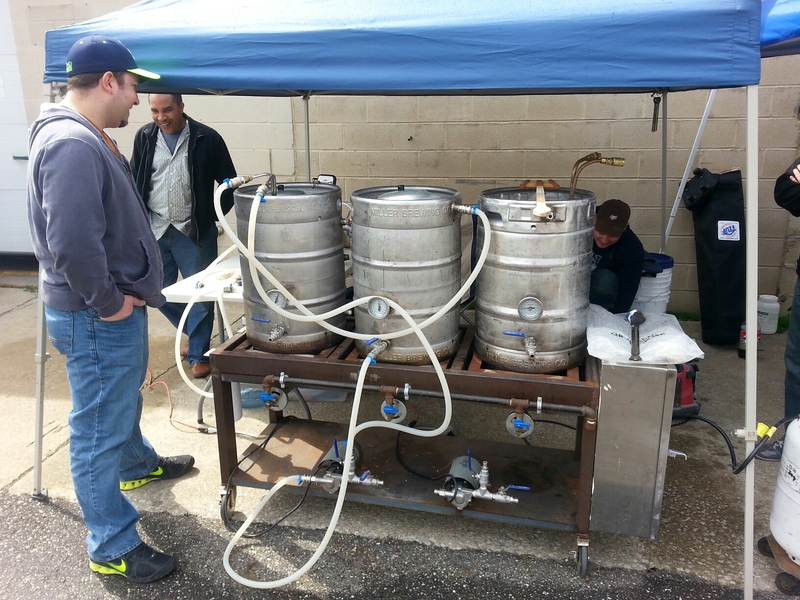 Great bunch of guys and the systems they used were diverse with a lot of cool gadgetry. 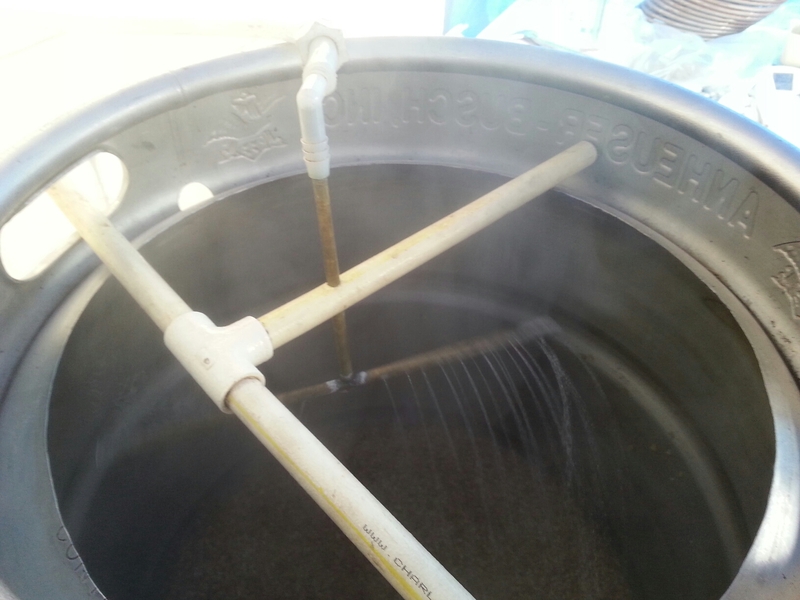 The secret ingredient was ‘Turbinado Sugar’ – kind of like a light brown sugar. 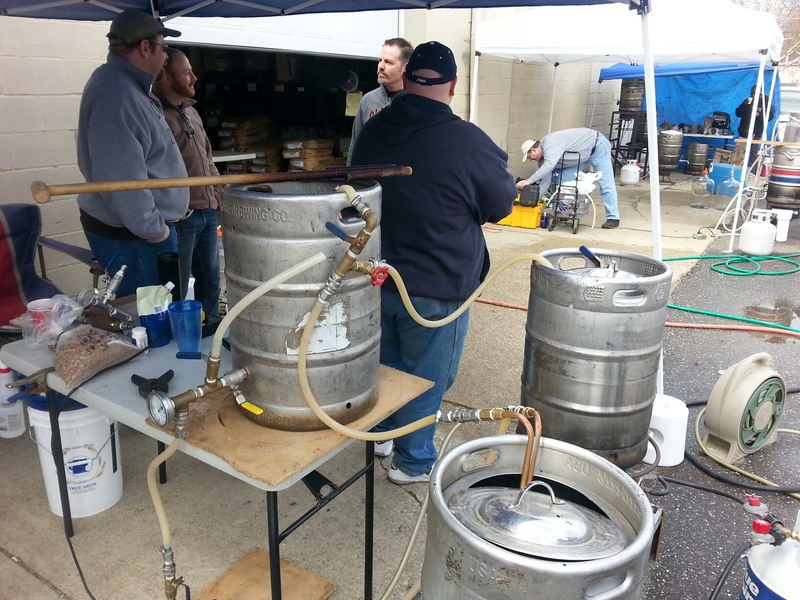 There was everything being made from porters, pilsners, saisons and more. 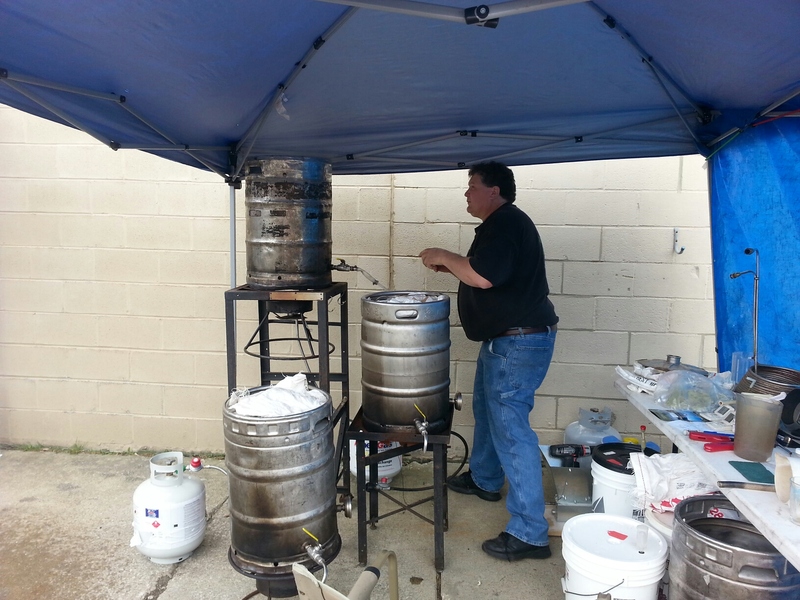 He’s actually doing a 1 gallon batch of a ‘smoked’ beer. 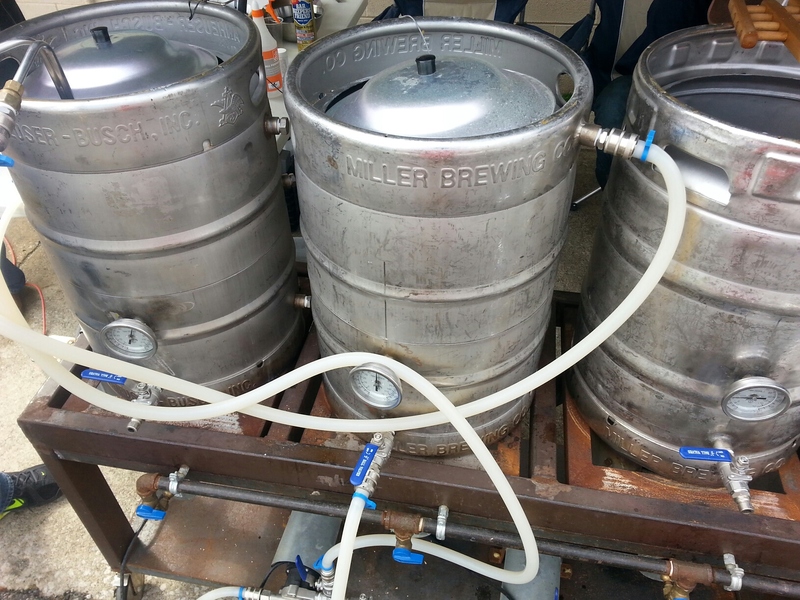 I guess if you don’t like the taste of it, you don’t want 5 -10 gallons of it. 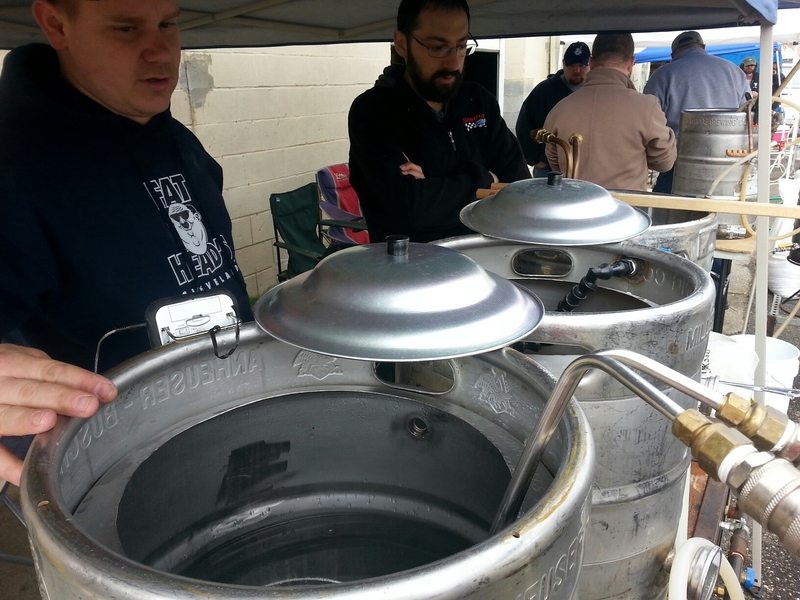 These guys are mashing in. 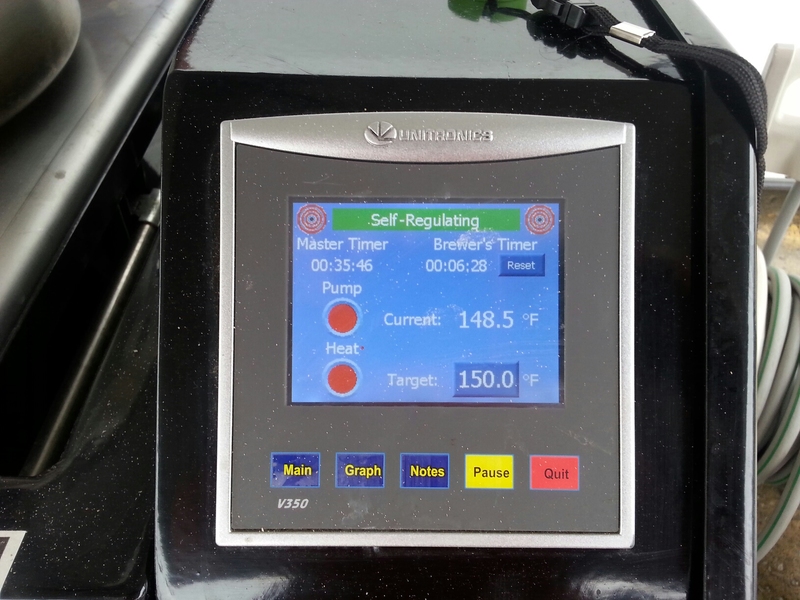 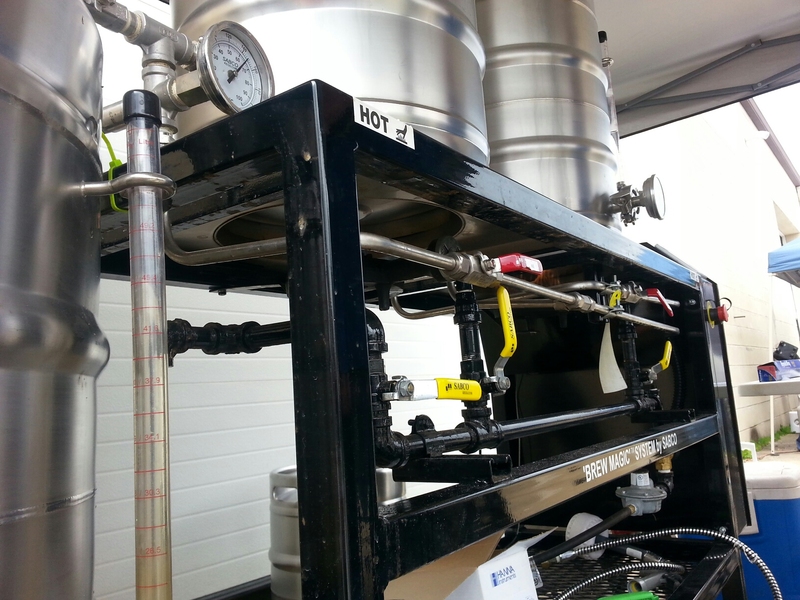 I like the sparge arm of this guys’ system.